Memorial Day is the day set aside to honor those Americans who have made the ultimate sacrifice and given their lives for our country. 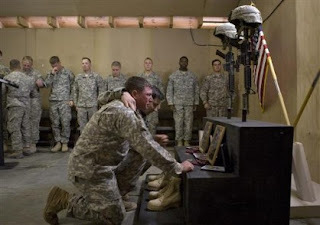 Memorial Day is a United States federal holiday observed on the last Monday of May. Originally known as Decoration Day, it commemorates U.S. men and women who died while in the military service. First enacted to honor Union soldiers of the American Civil War (it is celebrated near the day of reunification after the Civil War), it was expanded after World War I. If you see a US Military Veteran this weekend please thank them for their service to our country. And as always God Bless America. Our Troops will forever has a special place in our hearts!